Core Section: A 4-core performance engine, individually animating 4 instruments to create one cohesive sound. The XY controller is used to visually blend the mix of the 4 cores. Record custom XY movements to play back each time a note is triggered right inside the interface or use the many XY preset automation patterns. Step Section: In this section, program animation to all 4 cores. Add movement in 2 ways: through the Step Animator and or via the Dynamic FX Animator, which allows for easy FX automation. The Step Animator gives each core a unique arp sequence. Set the length and attributes of each step independently with up to 128 steps. The Step section has over 300 unique animation presets that you can randomize to create new patterns in an instant. There are 6 effects slots with over 25 different effects to choose from and each can be animated. The Step Animator and Dynamic FX Animators are on separate internal clocks, allowing even more freedom to create syncopated and polyrhythms between each core. MIX Section: Similar in layout to the CORE window, the MIX window is tailored towards mixing each core. Adjust attack, release, EQ, energizer and more. MASTER Section: This is where everything gets summed into a stereo mix. The master section houses 8 dynamic effect inserts that allow for custom master effects chain, applying the parameters to all 4 cores. This is extremely handy for polishing the entire instrument as a seamless whole. From compression and saturation to delay and reverb, use the many and varied controls to instantly make presets production-ready. Dynamic meta-tag browsing system: makes it easier than ever before in finding that sound you want. When you find a favorite, just Click the heart to highlight your favorite preset. The original Arpology was released in 2014 and became a breakthrough arpeggiator Kontakt instrument library. Fast forward to August 2018 and Sample Logic releases ARPOLOGY Cinematic Dimensions. The original Arpology was about 5.3GB and this new library is a massive 23+GB of sample content. There are 1,200+presets and a whole new meta tagging system which makes it an incredible time saver. You can narrow down your preset search by clicking Chordal, Glitch, Cinematic, Orchestral, One Note Glory, Synth, Strings, and so much more. The layout is simple to get around and the ability to create complex sequences in a snap is invaluable. I found myself not wanting to leave my chair as I swapped out individual soundsources in each of the 4 cores. Creating your own presets is so painless and with the exceptionally easy randomization feature, the possibilities are endless. You can Randomize the XY pattern, Master FX, all 4 cores, random play, and step animator all on the Random page. If you want a lengthy demonstration of what the presets sound like, you can watch my 1 hour and 40 min preset walkthrough video below.You can also Drag & Drop MIDI patterns from ARPOLOGY right into your DAW which opens a whole new world of possibilities. I always considered Sample Logic one of the monarchs of virtual instruments and sample library companies that continues to release magnificent content. They have never released a sub-par library yet and I always find myself amazed at how they deliver such solid releases time after time. The fact that it took Sample Logic a year to produce this library is something I must recognize. The amount of hard work poured into this library is evident. So, having owned the first Arpology, I can honestly say this is a worthy upgrade. No matter what music you produce you will find Arpology Cinematic Dimensions a powerful resource of inspiration and creativeness for years to come. Sample Logic has released a mammoth release with a sound so deep with expression that you may lose days when playing it. 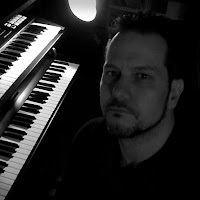 Now go score that next big hit and create some out of this world arpeggiated cinematic grooves. 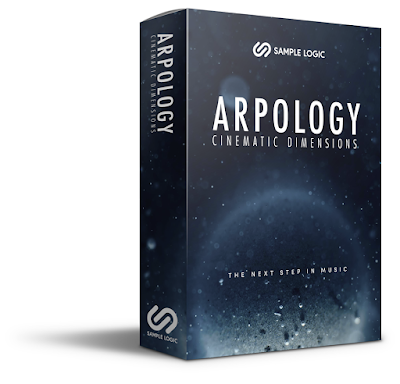 Is Arpology Cinematic Dimensions the perfect sample library to add to your composing toolbox for Kontakt?